When is the perfect time to get eyeglasses that can protect your eyes from long exposure to radiation?
" There are many definitions for hazard but the more common definition when talking about workplace health and safety is: A hazard is any source of potential damage, harm or adverse health effects on something or someone under certain conditions at work." My exposure to radiation emission is almost every day, it comes from laptop and computer emitting radiation and to include the tablets and mobile phones that can be a source of it. Lately, I have been experiencing eye tiredness, watery eyes and my vision are now compromised. Although I know it's a little late for me to get prevent this eye problem... I still went to the prevention side and will worry for the next, if I really need to get those prescription eyeglasses. I was reading a thread on one of the Facebook group I was in and the topic was how to take care of your eyes especially when your job is related to the freelance job and other online jobs. This will really require you to spend hours and hours of radiation exposure. 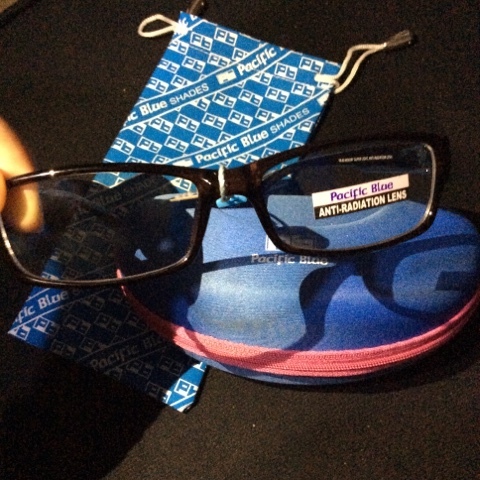 One suggested and recommended an anti-radiation lens eyeglasses, which he also got for himself as prevention. I included it to my list of things to get in the mall, and luckily I was able to get one last night. 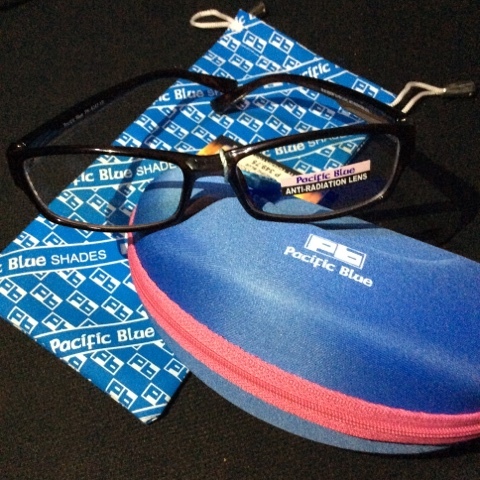 Pacific Blue Anti-Radiation Lens Eyeglasses. Lenses are coated with special metallic compounds coatings on BOTH sides that PROTECT your eyes from RADIATION and other ELECTRO-MAGNETIC emission coming from TV and computer screen monitors. Help reduce eye fatigue and eye strain. Advisable for people with prolonged exposure to computer and TV screen monitors. After trying out different shapes and sizes, I decided to get this wayfarer type of frame which fits my face shape and size. 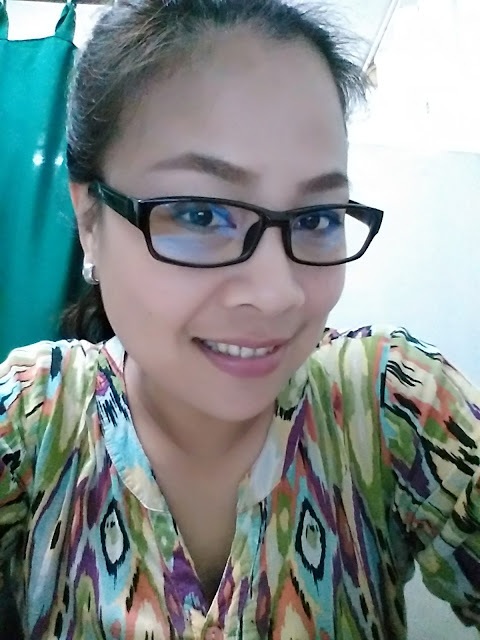 I got the dark brown colored frame and it's light-weight, which most of us will like. It gives you that feeling of not wearing anything for your eyes. 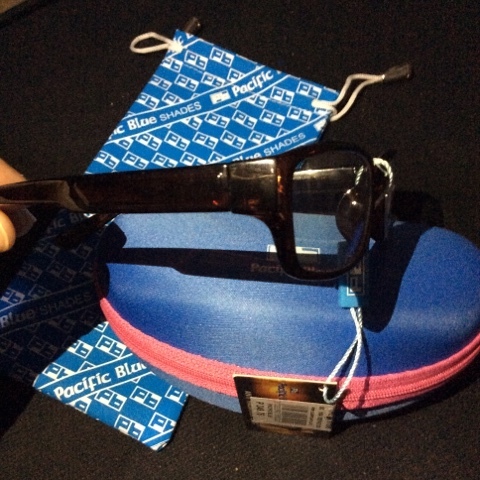 The eyeglasses come with a hard case in blue color with a pink zipper around it, plus a soft blue colored pouch with Pacific Blue logo and print on it. and also a piece of dust towel for cleaning. Another great deal I got plus it will prevent my eyes from more damage in radiation exposure. I guess I will be getting a couple of pairs for my kids too especially for my College boy. I wore the anti-radiation glasses today at work and this is what it looks like on me.